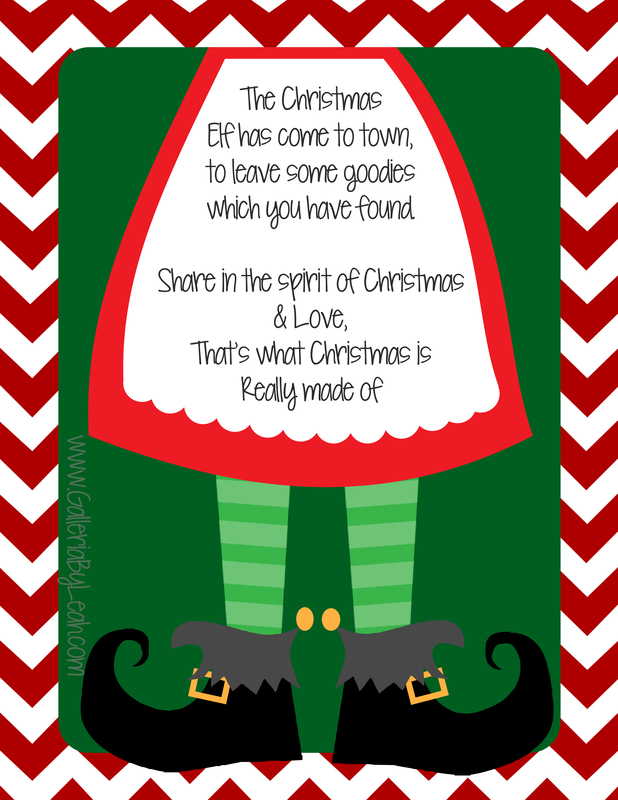 ELFing (Like BOOing, but with a Christmas theme!) is a fun way to spread Christmas Cheer. Basically you make or buy a treat for a few neighbors, deliver it anonymously & they pass it on! This year, I have signs for you guys as well as some adorable Christmas printables! I’ve been ELFed. What do I do? 1.) Color & put the ELFed Sign that was delivered with your treat on your door. 2.) *optional* Make at least one treat bag/gift basket/tray o’ goodies & pass the Christmas spirit along. Make sure to include the ELF Note & ELFed Sign. 3.) Deliver anonymously to a friend or neighbor & spread some holiday cheer. How do I start a ELF chain? 2.) Purchase or make 2 two treats, and deliver a copy of the note, a copy of the sign & a treat to two different neighbors or friends anonymously. ELFing is a fun game that adults and kids in many neighborhoods play leading up to Christmas. It’s simple really. Print the ELF sheet and include it with a treat. Leave it on someone’s door step (who doesn’t already have a ELF sign up), ring the bell, and Run Run Run! Nope. You should not feel obligated to go out and ELF somebody because you have been ELFed. Some people don’t pass it on, others may choose to ELF many. What you do is up to you. It is all in good fun and should not be a burden. How will the people I ELF get the sign to pass it on? 1.) They can make copies before they decorate. 2.) If they visit http://www.GalleriaByLeah.com which is at the bottom of each sheet, they will be directed to a page where they can download and print a new copy. What treats Should I Give Out? It can be anything you want! Cookies, Candy, Games, Toys, Stickers, Fruit, Apple Juice, etc. Some people make home made treats and other people give pre-packed treats. ProTip: The Dollar Tree is ripe with adorable ELFing gifts. In 2011 we painted wine glasses, and last year we made adorable Christmas soaps, so be creative and most importantly HAVE FUN WITH IT!! Here is my Christmas Pinterest board for inspiration.